The most successful Olympic athlete is Finnish long distance runner Paavo Nurmi, who won nine gold medals and three silver medals between 1920 and 1928. Only swimmer Michael Phelps has won more gold medals. Team GB have won 201 Olympic athletics medals, more than twice as many as in any other sport, with 55 of those medals gold. Only the United States, with 801, have won more Olympic athletics medals than Team GB. Usain Bolt – also known as the fastest man alive, the Jamaican sprinter holds the world record in the showpiece 100 metre race, having run a time of 9.58 seconds in Berlin in 2009. Bolt completed an unprecedented ‘triple triple’ at the Rio Games in 2016, winning the 100m, 200m and 4 x 100m relay events for the third time, although the 2008 relay win has since been repealed. Sir Mo Farah – Great Britain’s most successful ever athlete, the long distance runner won both the 5,000m and 10,000m events at London 2012 and Rio 2016, earning him a knighthood in the 2017 New Year’s Honours list. The six-time World Championship gold medallist is also known for his trademark pose, the ‘Mobot’, which has been copied by school children up and down the country. UK Athletics – please click here for more information. 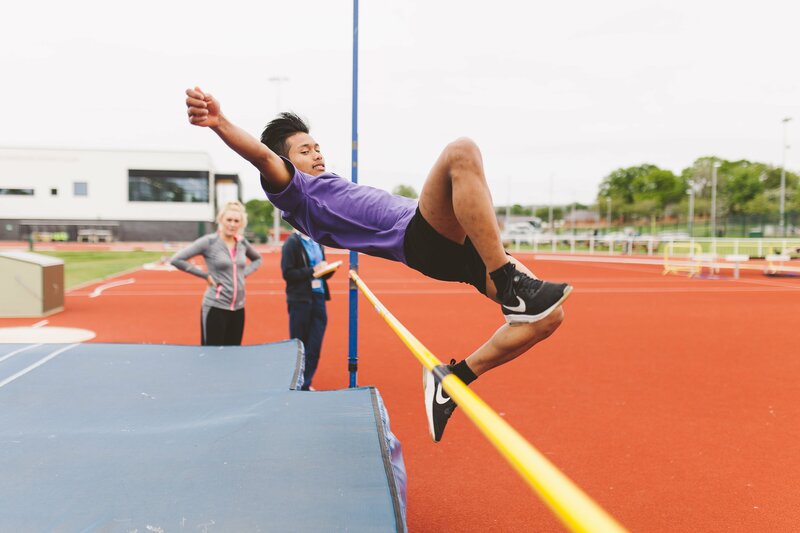 In order for a competition to be considered part of a School Games provision, it must follow a School Games format. All School Games registered users have access to our sport formats and can access the formats for this sport by clicking the button below. Alternatively, you can download the full Athletics format pack by clicking here.